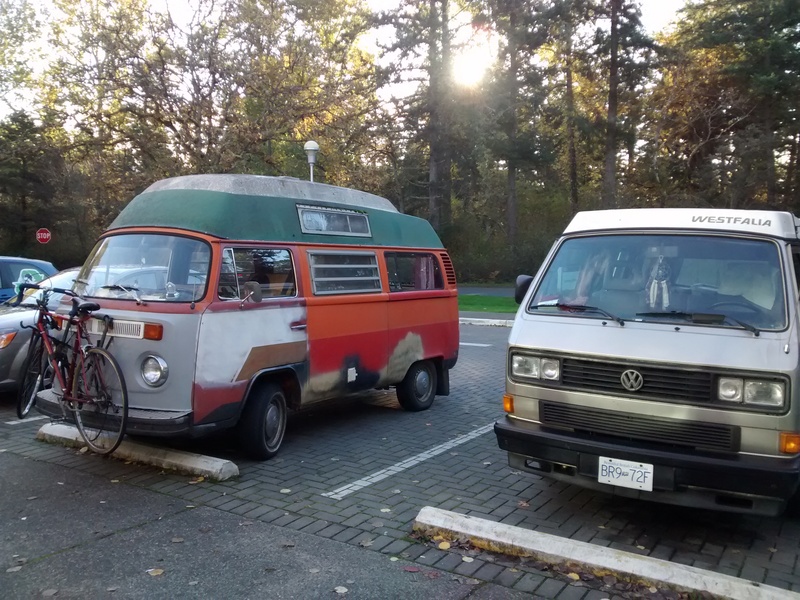 It always brings a smile to my face when I see other vans driving around town. Sometimes it’s blatantly obvious that someone is living in the van – clothes dangling from the ceiling, dirty dishes in the sink, quilts piled on the back seats. As much as I enjoy writing about this life (and get a kick out of it…for the time being), I’m not trying to be cool or even trying to prove something. We just want to do this, and I think it’s a comical and amusing enough journey to document. Not everyone will be into it, and obviously, that’s fine. I just think it’s so freaking hilarious! !